Looking for a South Seattle weed shop near you? 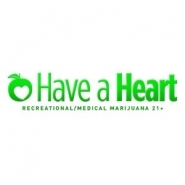 Have a Heart Skyway/Seatac is the premier pot shop serving the South Seattle, Skyway, Seatac and Renton areas. Conveniently located just off of I-5, minutes from SeaTac Airport and the Southcenter Mall, Have a Heart Skyway/Seatac is your source for recreational marijuana in South Seattle. Just arrived from a flight at SeaTac International Airport or need something to take the edge off of shopping at Ikea in Renton? Come check out our selection of Flower, Pre-Rolls, Concentrate, Edibles, and Topicals. Thanks to our lasting relationship with several local growers, we are able to bring you a huge inventory of high quality cannabis at an affordable price. Our knowledgeable and friendly staff will make sure you find what you need, and leave truly satisfied. Stop by Have a Heart Skyway/Seatac for all of your South Seattle cannabis needs.